Need Mattress Cleaning in Perth? Does your mattress lack that new feel? A good mattress is one that lasts a long time, but as with all things if not properly maintained, a mattress will deteriorate at a faster rate. It is important not only for personal comfort, but also for your health to keep your mattress cleaned. 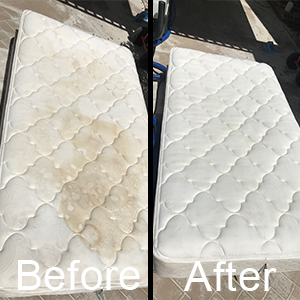 Pride Carpet Cleaning offers a professional mattress cleaning service which will have your mattress looking like new in no time at all. Mattress that aren’t cleaned on a regular basis build up sweat, skin flakes, dust mites and even harmful bacteria in some cases. This build up can have adverse effects on your breathing and physical health. Having your mattress cleaned will not only remove foul smells from your mattress but also will kill dust mites, bacteria and remove sweat and skin flakes from your mattress to ensure that your sleep is not only restful, but clean and safe. Call or Text 0406542992 for a free quote on cleaning your mattress in the Perth metro area today!